Clash is sat with King Nun frontman Theo Polyzoides when he looks us straight in the eye: “We are four people who wanted nothing more in our lives than to show off. And more specifically, show off something that we felt we had to say”. 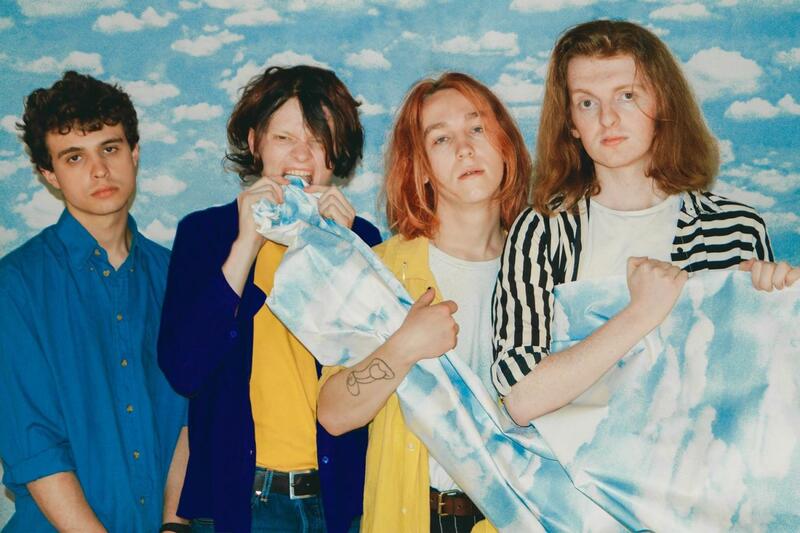 Having gained the seal of approval from Dirty Hit, King Nun are on a roll, rattling up the indie scene with their ferocious energy and new take on punk rock. When forming the band it seems like the stars aligned in peculiar ways for the London boys. The quartet recently released their debut EP, 'I Have Love'. And taking on the eternal subject of love the group have gone deep, though seemingly coming out stronger at the other end. Though King Nun definitely have some punk roots - “we all had a pretty unhealthy obsession with the 70’s New York and CBGB’s scene” - they are weary of being pigeonholed. Their genre-bending bangers draws on a much wider scope of musical inspirations, a mixture that deftly avoids the clichés.